Connect Aircall and Shopify for instant access to your customer’s details. 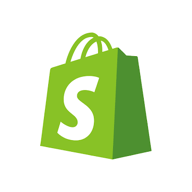 Connect Aircall and Shopify for instant access to your customer’s details the moment the phone rings. Order information is displayed right in the Aircall app, so agents have a head start in resolving the customer’s issue. With the Aircall - Shopify integration, the customer’s name, email, previous orders and tracking number will be displayed on the screen along with links to parcel tracking, customer page, and order details. Get a more detailed view of your customer and perform relevant actions during your call. By taking manual searches out of your workflow, your team can save up to two minutes per call – letting your agents focus on delighting your customers with a quicker, more personal support experience.